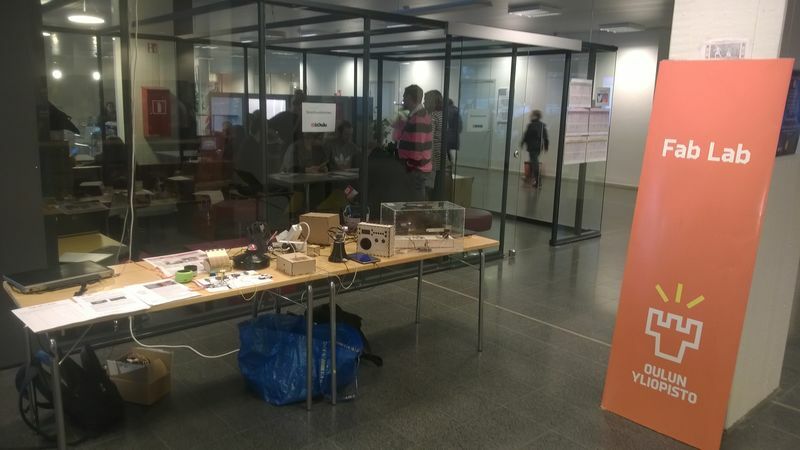 @koulu is one of the biggest local events targeted to teachers in Oulu area, and it aims to train teachers in using ICT tools for continous education. We took with us some of the prototypes built by school kids in our Fab Lab. Antti Mäntyniemi brought also his Kantelematic as ab example of what can be achieved at Fab Lab. We had very inspirational discussion with many of the participants and some of the teachers promised to bring their kids to Fab Lab Oulu. Thanks to Arto Niva for the invitation !!! !